Perhentians Islands are two superb Islands located on the North East Coast of Peninsular Malaysia, named Pulau Kecil (Small Island) and Pulau Besar (Big Island). Pulau Kecil is more oriented at young tourists and backpackers. Accommodation tends to be cheaper with guesthouses rather than expensive resorts. On the contrary Pulau Besar is geared towards those requiring a bit more ‘comfort’, with many resorts and high quality hotels. It is more suitable for families and travellers with a higher budget. These two tropical islands are covered with dense jungle and are surrounded with clear water. There are several nice white sand beaches that you can discover by boat or when hiking along the small jungle paths. 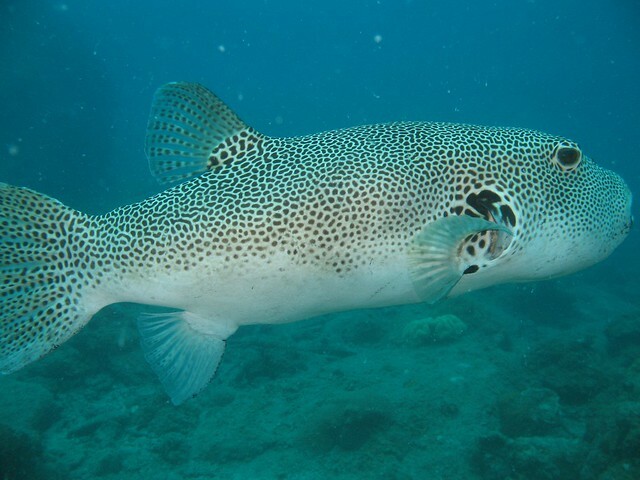 While diving in Perhentians Islands, you will enjoy great coral reefs and rich marine life. The Islands are famous for the numerous Blacktip reef sharks that you can spot in shallow water when snorkelling. I usually use this website to book in advance my hotels in Perenthian Islands, Malaysia as they usually have the lowest rates I find. I like it because it's free to cancel and change the dates. 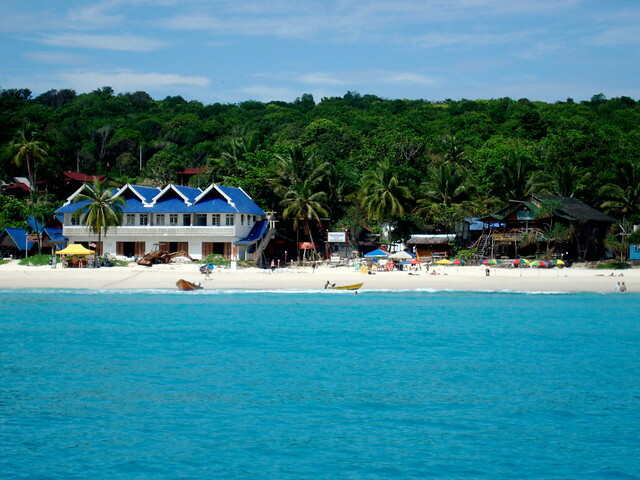 On the Perhentians islands, you won’t find anything but beautiful beaches and jungle. No Museum or places of interest. But that is the attraction! It is a destination for nature lovers and for relaxing on the beach with a good book. On Perhentian Kecil, the small island, there is also a bit of night life with small parties on the beach, but don’t expect anything like the full moon parties in Thailand. There is no real travel agency on the islands but you will find many small shops on the beach to organise snorkelling day trip and other excursions. The Perhentians islands are almost completely closed from November to March with irregular boats, and most of the hotels closed. If you are planning an upcoming dive trip or travelling to Perenthian Islands, it is a really good idea to invest in travel insurance for scuba diving, because you never know what could happen and when you might need it (because accidents do happen!). I recommend this diving insurance as they offer worldwide coverage and focus on providing scuba divers a quality insurance and medical assistance service. Where is Perenthian Islands located in the world? Perhentian Islands are located on the North East side of peninsular Malaysia not far from the Thailand border. How to get to Perenthian Islands? The first thing you need to do is to get to Kuala Besut. The best way to get there is by bus. There are many tourist buses going there directly from Kuala Lumpur and the main tourist destinations such as Penang, Taman Negara and Cameron Highland. To get your tickets just ask any travel agency or go directly to the bus station. Charter mini vans are also available and could be a good option if shared. Once you are in Kuala Besut you have to take a fast boat for 45 minutes (RM70 per person way and back) to reach the Perhentians islands. The boat will stop on the main beaches and will drop you to the main tourist beaches like Long beach, coral bay and D’Lagoon. You can purchase the tickets directly at the jetty, or in any travel agencies. Boat tickets are also often included in the transfer fare with the bus ticket. Another alternative is to fly from Kuala Lumpur directly to Kota Bharu located a bit North near the Thai border. You can fly there with Malaysian Airline or the low cost carrier Air Asia. You will then have to take a taxi for one hour (about RM 50) to go the jetty to take the boat. The last boats leave Kuala Besut late afternoon. Try to reach there before otherwise you will have to spend a night in town. Don’t forget mosquito repellent and suncream! There are no roads, no cars and no motorbikes on the islands. The best way to get around is by taxi boat from one beach to another one. Prices are fixed per person but can be quite expensive. Expect to pay from RM 10 to RM 15 depending on where you want to go. Prices double at night. From long beach to coral bay there is an easy path, about a 10 minute walk. You can also trek on the jungle paths but prepare water and good shoes! A good hike is to reach D’Lagoon from Long beach but it will take about 50 minutes. Can you please tell me how long does it take to get with bus from Kuala Lumpur to Kuala Besut? Another thing is can you recommend a nice and cheap accommodation in Besar or Kecil? 3. Sail Rock which basically you just hovering over vast coral reef beds of many types and never notice that your dive time is over. Thank you for taking the time to share your diving review of the Perenthian Islands! It sure is a huge help for divers planning a trip there! Wishing you safe bubbles, as always, and a happy new year! Have you been travelling or backpacking in Perenthian Islands? Please consider sharing your experience by leaving a comment below! Divezone has complete information about scuba diving and snorkelling in Perenthian Islands. For information about the best time to dive, list of fishes spotted in these waters, please check our Perenthian Islands Diving Review.